It doesn’t mater if you’re a casual strummer or a six-string savant, there’s no denying that daisy chaining audio equipment together is a pain in the arse that turns your living room into a spaghetti wire death trap. What’s even worse is when a computer or tablet is involved and the joy of music making must be interrupted to manually alter guitar effects. 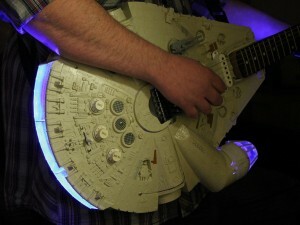 If only there were a way to clear up those pesky wires… oh wait, there is – the Livid Instruments Guitar Wing. 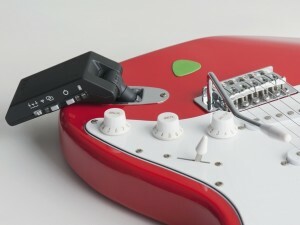 Once attached to the horn of any electric guitar or bass, the Guitar Wing grants easy and instant access to any audio software or MIDI compliant hardware it’s “tethered” to, be that on a computer or on a tablet. 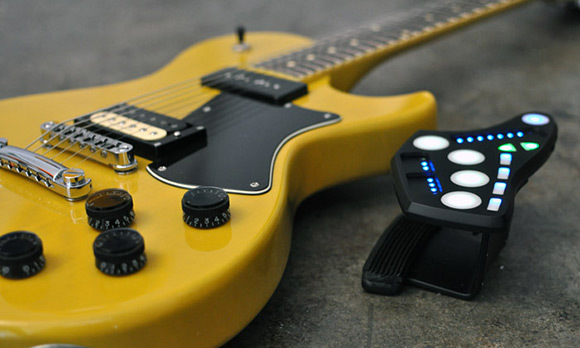 Not only does this grant guitar players the ability to apply a range of cool sound effects to their music on-the-fly, but it also reduces – and potentially eliminates – the need for physical effects pedals. 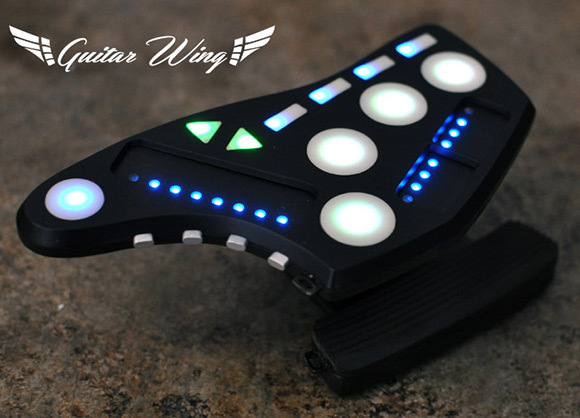 Wire decluttering aside, the real draw to the Guitar Wing is the immense convenience it offers players thanks to its range of pressure sensitive buttons, sliders, toggles and its built-in motion sensor. 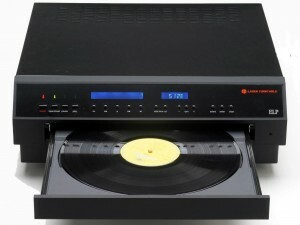 For example, in the video below, each of the four big buttons are set up to create differing pitch-shift effects while the slider is set to continuously bend the note played. On top of that, the toggle switches can be used as virtual effects pedals, laying up to four different sound modulations on top of one another. 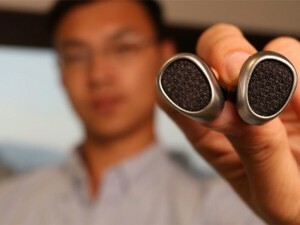 The uses of the Guitar Wing will inevitably be multiplied once Livid release the device’s software development kit, meaning that the creative, guitar playing software programmers among you could set up your guitar to… answer Skype calls? Livid are currently gauging interest in the Guitar Wing via a Kickstarter campaign. But never fear, the Texas based company smashed their funding goal of $45,000 with – at the time of writing – over $61,000 pledged. 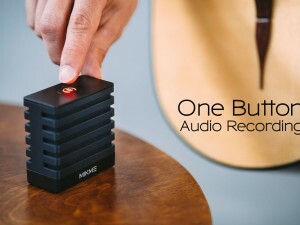 The Guitar Wing is on its way, and with an extremely reasonable $199 price tag, this musical gadget will likely end up attached to guitars worldwide. That’ll be an awful lot of amateur guitarists with a lot of sound effects at their fingertips – so lets just hope our fingertips need not end up in our ears.